These waders are ideal for shallow wading and bank fishing with a ¾ length jacket, launching boats, or just cleaning out the garden pond. 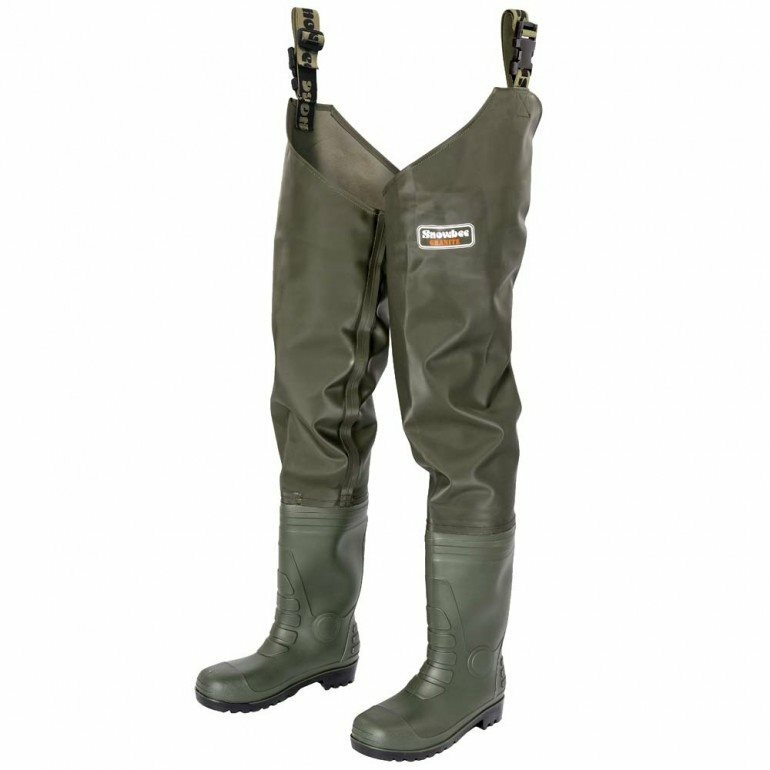 The Granite PVC Thigh Waders feature heavy duty PVC Cleated Boots for great grip in most conditions. Snowbee Granite PVC Thigh Waders, new models for the Snowbee Wader range. These Snowbee Granite PVC Thigh Waders are manufactured from a durable, heavy-duty, hard-wearing, reinforced PVC laminate which is as tough as it gets, but you'll find the waders are extremely soft, light and flexible, for added comfort. The outer PVC Wader layer is laminated to a tough, woven nylon inner lining, making the material super-strong and almost rip-proof, whilst remaining lightweight. The Snowbee Granite Waders use a unique new seam welding technology which are fused together with an integral tape, using a new Sonic Welding process, leaving the finished seams immensely strong.